The Elder Scrolls 6 Is Coming, But "It's A Very Long Way Off"
Word comes by way of the YouTube Live Gaming Show, where Howard made an appearance to discuss Fallout 4‘s all-new DLC plans along with the remastered Skyrim: Special Edition. But beyond a current-gen re-release, it’ll be some time yet before Bethesda Games Studios circles back to the Elder Scrolls series, particularly now that it has plans for two major projects in the pipeline. Yes, of course we are [thinking about it]… It’s a very long way off… We actually have two other large projects we’re also doing that are bigger than anything we’ve done… people will probably hear about those probably before Elder Scrolls 6. And that will make sense many years from now. Bouncing off Howard’s comments, Bethesda Vice President of PR Pete Hines all but confirmed that TES 6 will come…eventually. Todd confirms to @geoffkeighley that his studio has two other major projects planned before we will see a TES 6. I often kid Todd that release date for TES 6 will be 22/22/22. Our robot overlords will change our calendar system by the time it comes out. The Elder Scrolls VI is currently a long way from entering production and likely won’t touch down until late 2018 at the very earliest. 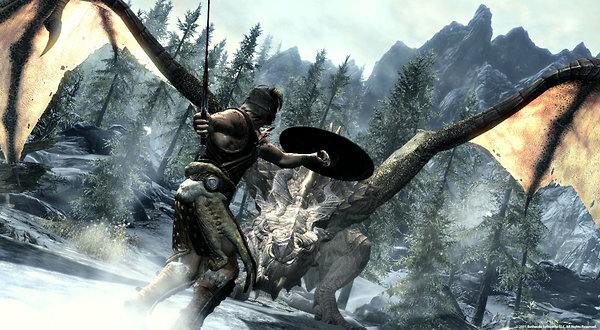 But if you’re pining for more of Bethesda’s mythical RPG, Skyrim: Special Edition will launch on October 28.